It’s that time of year when YouTube gets drowned in epic-lengthed videos of various, crackling fireplaces, and this year, even the Doctor Who channel is getting in the festive spirit. But at least this Yule Log also has a few extra glimpses at Peter Capaldi’s swan song, too. 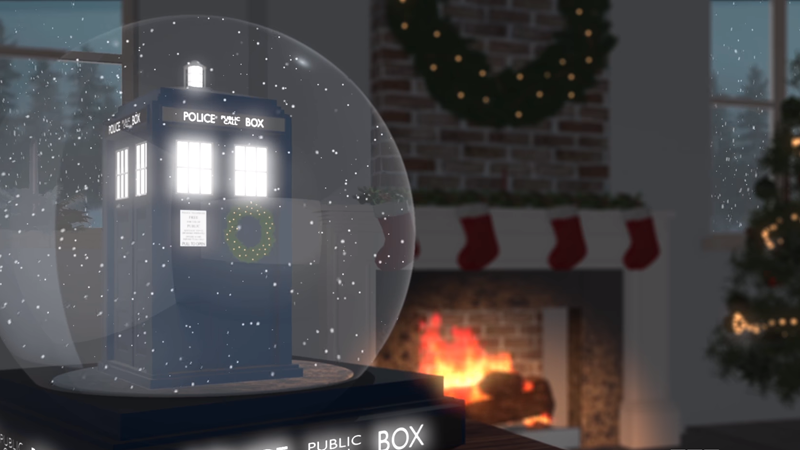 Yes, among the lovely, seasonal music from Doctor Who’s soundtrack and the TARDIS snowglobe that we really wish was an actual thing, this Yule Log video from BBC America is less about the fireplace and more about the occasional glimpses the snowglobe gives you into “Twice Upon a Time,” sneaky snippets of clips that have already been seen or been shown off in trailers. It’s a fun way to get people to stick around for an otherwise uneventful and relaxing holiday video—but come for the clips, stay for the holiday spirit it conjures up for you.